Links – The Australian Philatelic Society Inc. These links are provided as a convenience and for informational purposes only; they do not constitute an endorsement or an approval by the Australian Philatelic Society Inc. of any of the products, services or opinions of the organisation or individual. The Australian Philatelic Society Inc. bears no responsibility for the accuracy, legality or content of the external site or for that of subsequent links. The APF website is the best place to keep up with all that organised philately has to offer from around Australia. StampNews.com offers you an effective way to target your marketing campaigns. Your products and services will be exposed to the at-work audience hard to hit otherwise. The Philatelic Society of Victoria was founded in 1892 and since then has been the leading philatelic society in the country. The Tasmanian Philatelic Society is based in Hobart, Tasmania. The Society aims to bring together local collectors of all interests and expertise in a congenial environment. The Postal Stationery Society of Australia seeks to encourage the collecting of postal stationery in Australia and to provide a forum for the exchange of information and discussion on postal stationery. The AAMS was founded in 1923, and is the second oldest aerophilatelic society in the world with over 1,500 members worldwide. The National Philatelic Society is one of the largest general philatelic societies in Great Britain whose members are drawn from throughout the UK and Overseas. Welcome to the Royal Philatelic Society London, the oldest philatelic Society in the world, established in 1869 as The Philatelic Society, London. We deal in rare classic stamps and postal history of the world. GRAHAMS ANTARCTIC FIRST DAY COVERS AND OTHER POSTAL HISTORY. Philatino defines its activity as an interactive Internet portal for professional stamp auctioneers. Stamps, for some, are more than just postage. They are seen as little pieces of art that should be collected and preserved. Cyber Stamps is your online world’s largest Stamps resource for all your rare & collectible stamps. If you are looking for a hobby that is easy to pursue from home, stamp collecting might be a good activity. Add your own Stamp photos now! The Stamp Photos Image Library is one of our latest photo sites and contains lots of pictures to interest Stamp collectors, enthusiasts and philatelists. As the name suggests, Tasmanian Stamp Auctions specialises in philatelic auctions but we do have a large amount of Australian and worldwide material suitable for direct sale. In this stamp directory’s site, you will find Stamp swappers, Stamp dealers, Stamp auctions, Stamp postal service, Stamp catalog online and Stamp collectors. 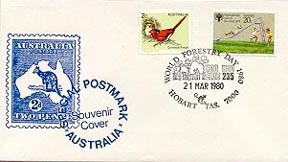 Fine quality stamps from Australia, New Zealand and their territories. We cover basic stamps, as well as varieties, blocks, imprints, postal stationery, booklets and much more. All items are illustrated and ready to buy. Let me introduce DanTheStampMan.Com. Our store is unique in that every price you see on this website is negotiable. My goal is to duplicate the bartering process that occurs during live shows. Everyone has at least a few old stamps. Our mission is to help you to identify your U.S. stamps and find their value! Welcome to Gabriele’s Philatelic Service, Australia’s premier dealer in fine Australian, Commonwealth and world stamps and stamp collections. Postcards Hobby – Offers Bhutan, Bangladesh & India beautiful and attractive picture postcards. Welcome to Sydney Philatelics, (Grahame Fudge – Mail Orders Stamp Dealers and Traders in Fine Stamps). Things we like to do in our leisure time. 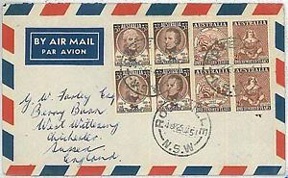 A Postmark is a postal marking made on a letter, package, Postcard or the like indicating the (more or less precise) date and time that the item was delivered into the care of the postal service. Modern postmarks are often applied simultaneously with the Cancellation or "killer" that marks the postage stamp(s) as having been used (though in some circumstances there may be a postmark without a killer, and sometimes the postmark and killer form a continuous design), and the two terms are often used interchangeably, if incorrectly. Postmarks may be applied by hand or by machines, using methods such as rollers or inkjets, while digital postmarks are a recent innovation.